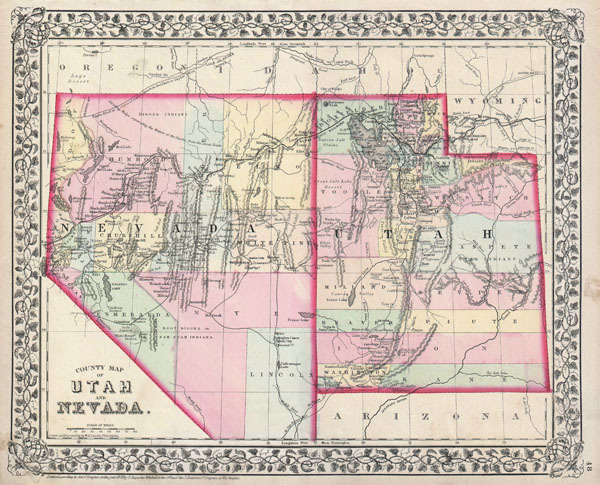 County Map of Utah and Nevada. Very good condition. Minor discoloration to margins. Blank on verso. Rumsey, 2483.037 (1870 edition). Moffat, R.M., Maps of Utah to 1900, 105. Wheat, Mapping of the Transmississippi West … , 1205 (1869 ed. ).